As you can imagine, we deal with a lot of different web hosting companies while creating sites for clients. For a time, we even tried our hand at being a web host ourselves. 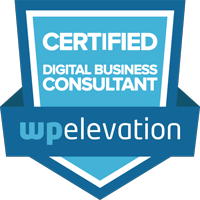 We leased a server, installed the billing software and for a little over a year and a half, dealt with tech support issues, sites being down, email issues and generally the stuff that we were not good at. The last straw for our “web hosting division” was when our leased VPS went down and we were told we needed to switch to a dedicated server. Apparently, this process takes about a week. Now whether it really takes a week or not I don’t know, because we’re creative folks, not technical folks. What I do know is that we were very popular for that week, and not in a good way. See, people get kind of attached to their websites being up and accessible to clients and customers. When they’re not, they get pissed. And I didn’t blame them one bit. I was pissed too, because all of our sites were down as well. No sites, no email, no good. I quickly began searching for an alternative, because I knew that I was going to be out of the web business after this. My previous hosting company managed to get everyone back up on a “temporary” basis after about 5 days so during the downtime I started researching hosting companies. If you’re just beginning this process take my advice: do more than price shop. Most hosting companies make about the same offer for shared hosting platforms, anywhere from $3 to $10 dollars a month. However, price per month should only be one of the things you consider. In my opinion, tech support is the real key to a money/value web host comparison. You see, the rubber really meets the road when you have technical issues. How fast does the company respond to support tickets? How fast do they answer live chat? In my search for a new company, I’m pleased to say that I found the answer to my hosting needs. InMotion Hosting. They are a U.S. based (data centers on both coasts) employee owned and operated company. Employee owned and operated? Yeah, that means they care. They care because it’s in their best interest to make sure that if you have a problem, the issue gets resolved. I’ve been with them for over two months now and have had interaction with tech support via phone 3 times and via chat support 3 times. Whether it was by phone or chat, the issue was resolved quickly, and I love the fact that at the end of your session, tech support asks you to email their boss and let them know how they performed. My previous company didn’t do that. They took 2 days or more to even answer an initial request and then 2 or more days to resolve it. No bueno. It’s not fun to think about switching host providers. We’d been with our previous web host for over 2 years. But somewhere along the way with our old provider, the tech support dropped off while the tech issues (sites going down) kept escalating. InMotion made it easy to switch and move all of our data, (and data from the clients who also switched to them). 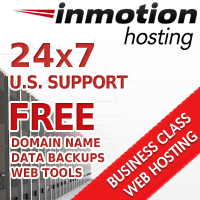 If you’re looking for a reliable web hosting company, with customer service rock stars, check out InMotion by clicking their banner below.